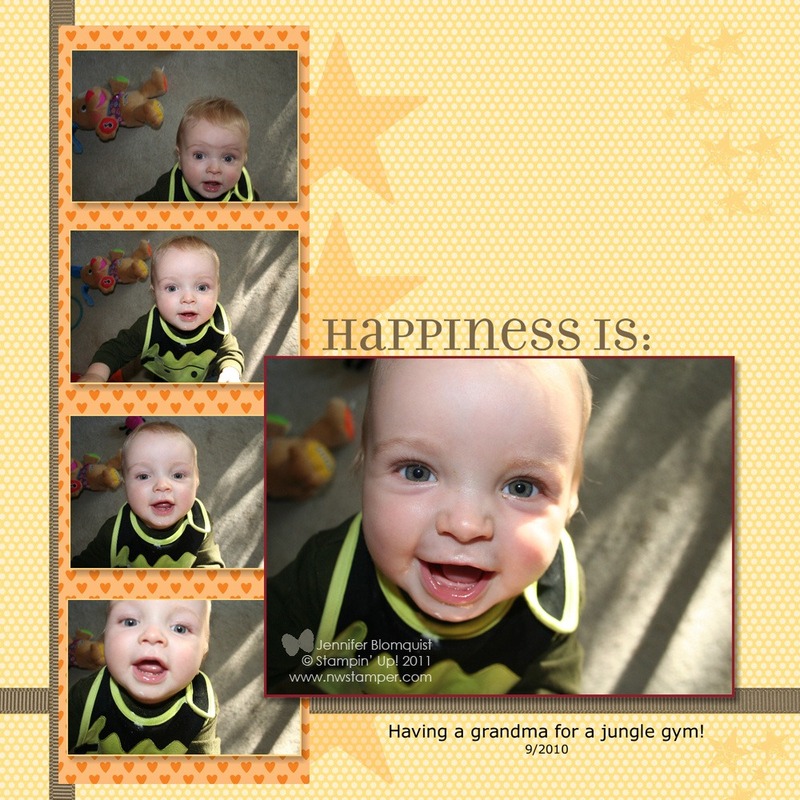 I love scrapbooking and I love the look of dimension on my pages; but sometimes the speed and ease of digital scrapbooking is exactly what I need! 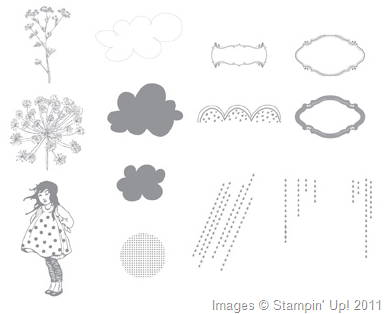 And for the last week, Stampin’ Up! 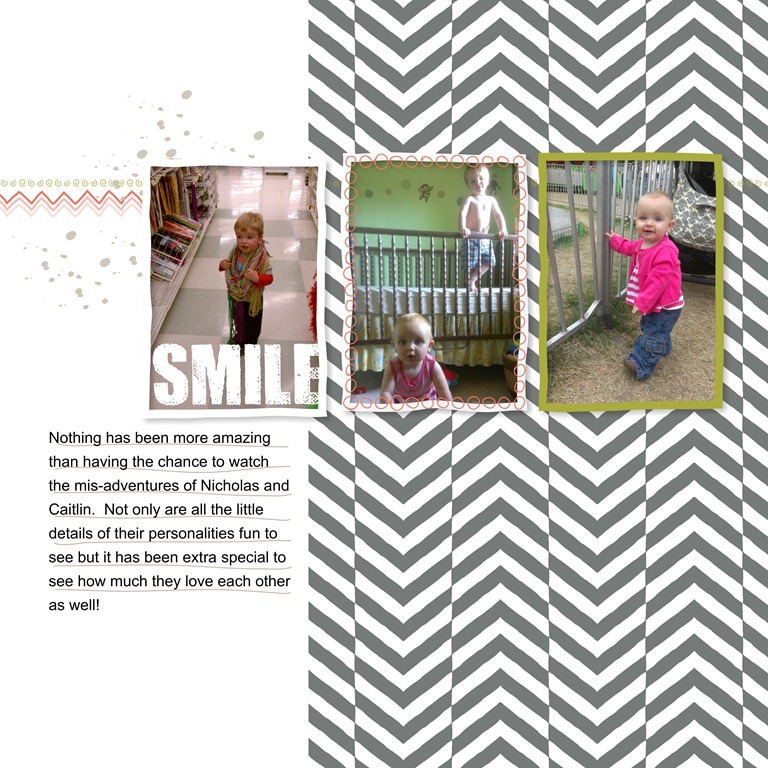 has been offering some free digital downloads and so I decided to put some of my favorite pictures together in one of the designer templates they were giving away. 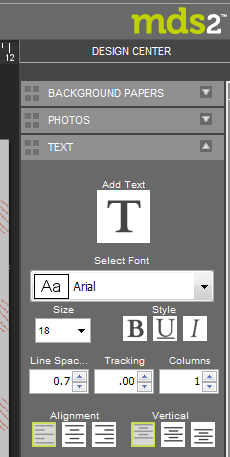 The nice thing about digital templates is that everything is already laid out for you. All I did to this was click the boxes where the photos are and picked with photos I wanted to have show up. 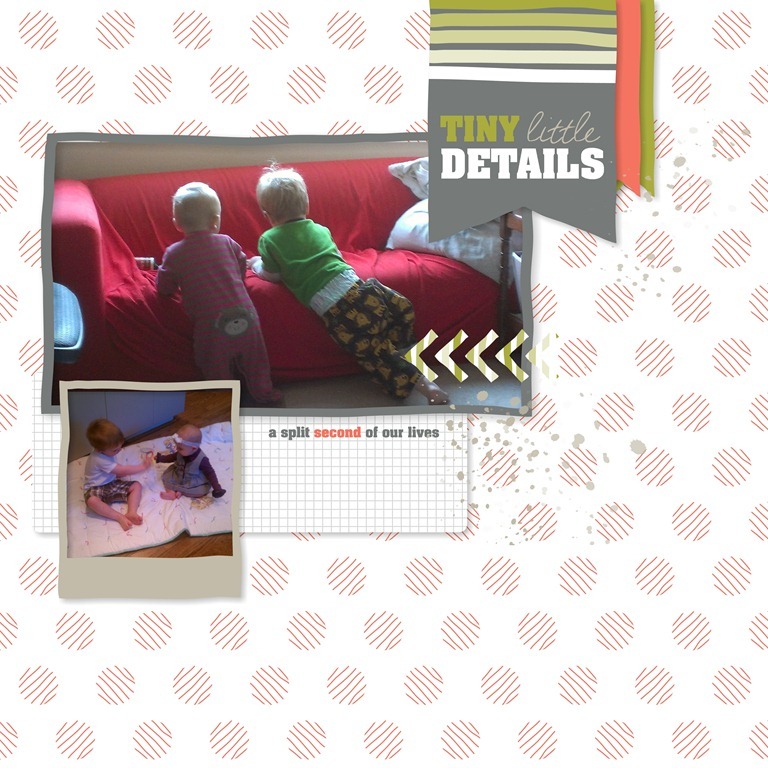 You can even do some cropping and minor editing of your photos once they are in the page so they layout how you like. Add some text for your journalling and you are done! You can use My Digital Studio download with any software that allows you to import images. Or if you don’t have MDS, get the free 30 day trial to make playing with them even easier. Just a reminder – today is the last day to get 31% off a ton of digital content and print orders. Even if you haven’t tried My Digital Studio yet, did you know that you can actually use the digital downloads in software you probably have on your computer already? * Digital content and images can be used in any computer program that allows pictures to be imported or pasted in, including – Photoshop, Publisher, PowerPoint, Word, Paint, etc. So, imagine you are editing your holiday letter or creating a photo holiday card, you can easily add your favorite Stampin’ Up! images to your project and really up the style factor. Now if you are like me though, for my card and scrapbooking projects, I don’t like the 1-dimensional look of purely printed projects…even if you add back shading or highlights to the image. However, here is a great example of how you can use digital designing to get a perfect stamped image in the size you want and still add your dimension and hand stamped style to make a really cool card. Yup, I still have to refer back to the physical sample to check myself. But the entire “designer series paper/stamped” Pool Party layer are digital! Talk about a great way to mass produce a complicated card! The digital layer is just adhered to some cardstock and the cardbase to get the card started. Then she added a heat embossed Mixed Bunch flower that was punched out, layered, and topped with a printed designer brad. 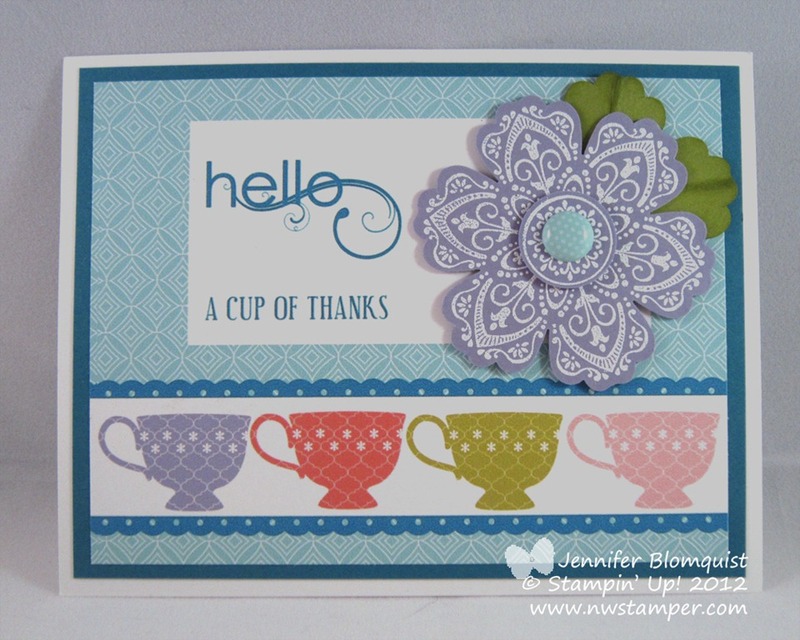 And don’t you love how she used a Lucky Limeade Blossom punch out to create the leaves. Cute huh? I have to admit, I found this card really inspiring to me for a great way to use digital “scrapbooking” to create great projects in a fraction of the time and still provide a Wow! effect. Would you use digital software or images to create you card or scrapbooking projects? And like I mentioned before, don’t miss the 31% off deal that ends at 11:59pm Mountain time tonight! Check out what is on sale now. Shop for Stamps and More Online, click here! Don’t Miss it! Free Stitched Satin Ribbon with every $40 purchase! Are you earning yourNorthwest Stamper Rewards? Every order gets you closer to your FREE stamp set! Click here to learn more! When you think of My Digital Studio and other digital software, what projects do you think of? They used the digital version of Betsy’s Blossom and Floral District designer series paper for the cover along with some scripted words. So easy to pull together quickly in My Digital Studio! And then, I thought I’d show you that even the inside covers have a nice patterned paper to finish things out. 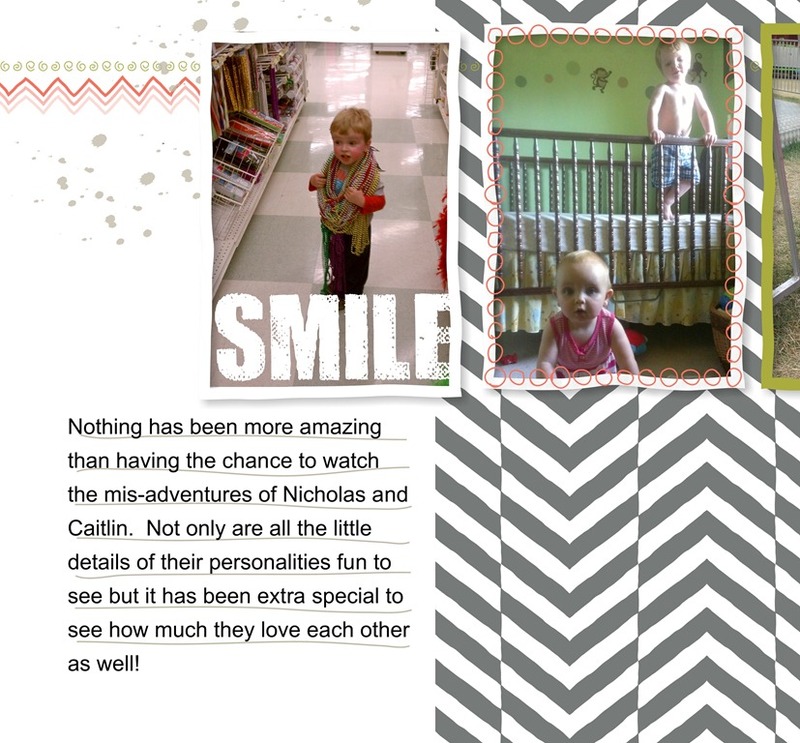 If you are curious to see just how easy this is to make, grab your own copy of the My Digital Studio 2 trial today! You can play to your hearts content for free for 30 days. If you make a project that you love, just use the built in printing option to either print out on your home printer or have it sent immediately to the professional printer that works with Stampin’ Up! So, what do you think? What would you want to do with My Digital Studio 2? Gotten Your Free My Digital Studio Trial Yet? With the holidays having recently passed, you’ve probably either created your own digital project (from calendar to holiday card) or received a number of them in the mail. The world of digital crafting and creating has really expanded in the last few years and I love that My Digital Studio provides a one-stop-shop for all kinds of projects! Plus, now you can try the full program for FREE! Stampin’ Up! has just started offering My Digital Studio Express (the downloadable version of the software) with a free 30-day trial. So, it is easy to check it out for yourself! Why is My Digital Studio cool? Lots of options for how to print and share your projects including sending to a professional printing service straight from the program. All of your digital download and printing services orders are eligible to earn “hostess” rewards! So, you could be printing out a bunch of photo books for your family and get free stamps/paper/etc at the same time! Check out this link to learn more about My Digital Studio including a video highlighting what you can do. Click here to get your trial now! Its totally free, so why not give it a whirl and see what fun things you can create! 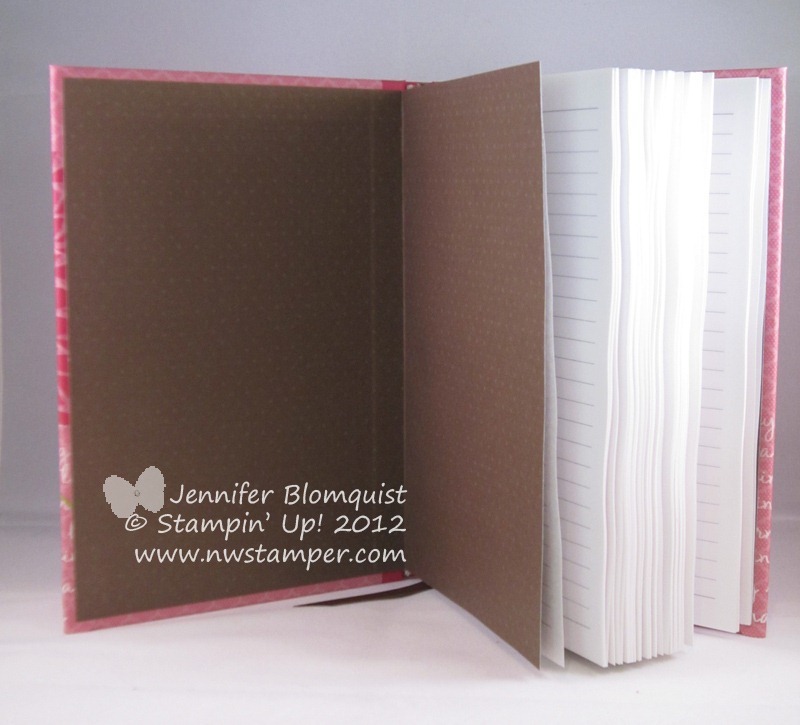 I’ve used MDS for a number of projects personally from cards to scrapbook pages; I’ve even used it to design my blog! If you have any questions about how it works or what My Digital Studio can do, shoot me an email and I’d love to talk with you more. 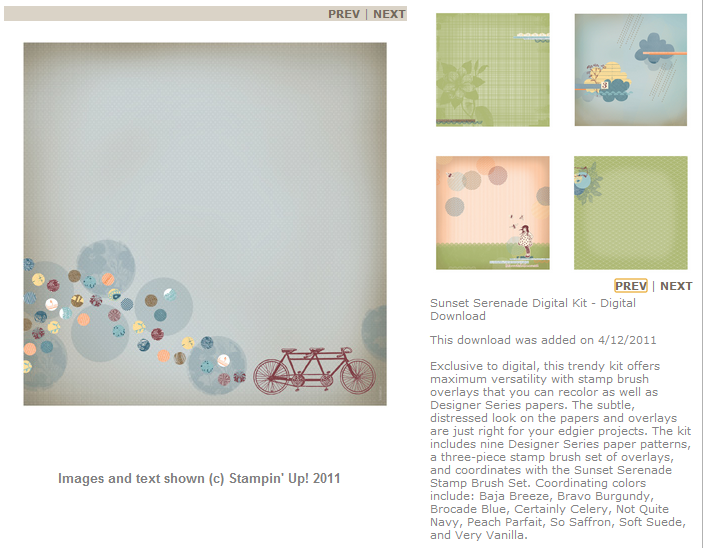 Check Out These Adorable New Digital Downloads! 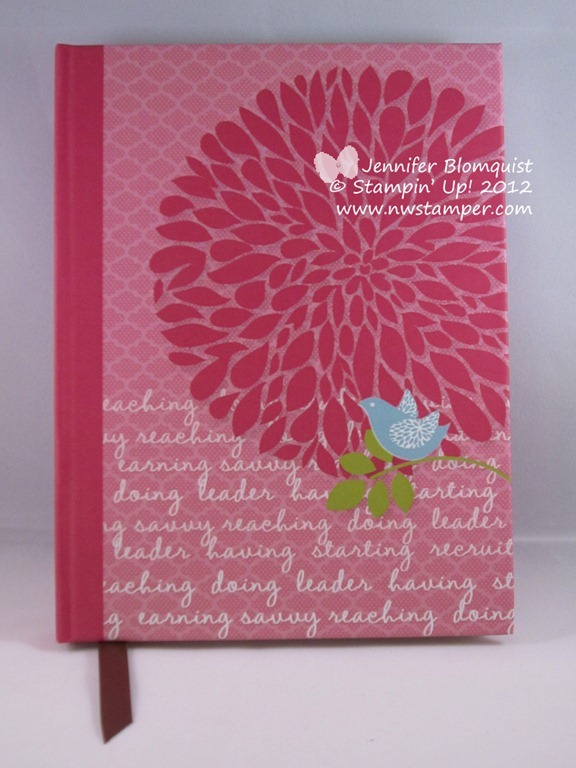 So, I don’t always post on my blog when Stampin’ Up! releases new digital content. That was because I saw that they are constantly add new content and often it is a digital version of some physical stamp, paper, or embellishment available out of the main catalog. I’ll post when there is something totally new (like when they added Journals and new styles of Calendars) but it wasn’t until last night that I realized that sometimes we get something totally new and completely exclusive to digital content! I’m seriously in love with the paper! I will probably have to download it so I can make projects with it, or just print out my own sheets of the paper to use in my physical projects. What do you think of these new downloads? To see all the digital items added yesterday, click here for a PDF. Want to see the catalog of all digital items? Check out the link in the right sidebar of my blog. I keep that widget updated each month as they update the catalog with the latest content. Let me know what you think of the recent digital downloads and MDS in general. I’m curious if people are liking using My Digital Studio for your own projects. I ordered My Digital Studio way back when it first came out; see, I was all excited about it after seeing what it could do at Convention and then they went and offered a special promotion for Convention attendees (got to love a deal!). After I got it home, I found I’ve been using it more for non-traditional purposes like creating my blog header, gift certificates, my watermark for my photos, printing out stamp images for sets I don’t have so I can use them in my paper projects, etc. Its actually pretty cool the fun things you can do with MDS. Anyway, Stampin’ Up! did a design contest a little while back and I managed to miss the deadline by 15 minutes but still submitted anyway. Of course I didn’t win, but I still really like some of the more traditional items I created for it. And today I thought I’d share one of them. I was playing with opacity of cardstock and drop shadows to try to get the effect of having Vellum in my digital project. I actually really like how this card turned out and think I may have to CASE it and make it into a physical card as well! If you haven’t seen all the cool current and retired products that are now available in digital form, check out this catalog to see the many fun items you can play with in MDS or really any software that can accept an image file. View the My Digital Studio Catty. Have MDS questions? Shoot me an email and I’ll get them answered!